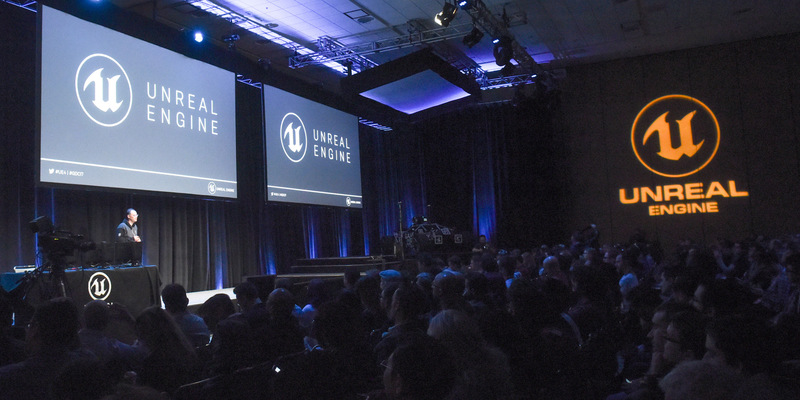 In keeping with tradition, Epic Games Founder and CEO Tim Sweeney took to the stage for the “State of Unreal” opening sessions that kicked off the 2017 Game Developers Conference with an outpouring of news and announcements. Joining Sweeney and co-host Epic CTO Kim Libreri were leaders in games, film and even the automotive industry. The common thread? Unreal Engine is powering digital content creation in a way that achieves final pixels on screen, in real time, to bring the dreams of creators around the world to life. 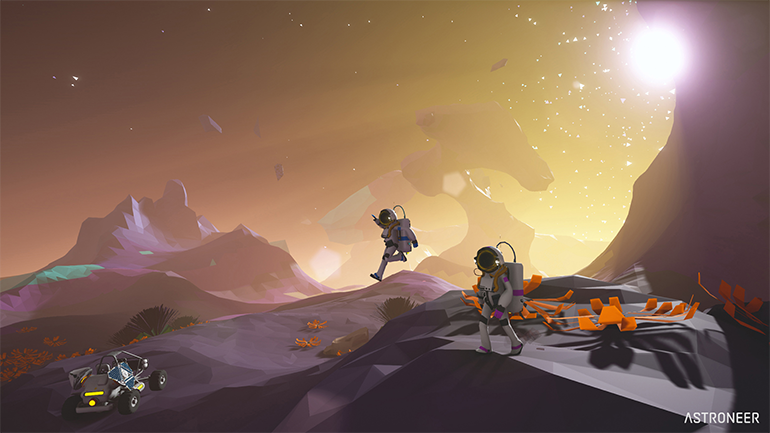 Epic shared its vision for the future, announcing a series of high-profile projects that help redefine the possibilities of games, VR/AR, animation, real-time rendering and visualization. Watch the full presentation below and read on for a run-down of what Epic shared during this morning’s annual presentation. Since going free two years ago at GDC, Unreal Engine 4 has now seen worldwide installs and usage explode. Tim Sweeney today revealed just how fast the engine and its ecosystem are growing. Unreal Engine revenue hit a record high in Epic’s history in 2015, and that number more than doubled in 2016. Out of the top 25 grossing games on Steam in 2016, Unreal Engine is the only commercially licensable engine represented, having powered 10 games that hit #1 on the charts last year alone. In addition, UE4 powered two #1 mobile games in Korea last year, and Unreal developers have earned more than $10 billion in sales globally. 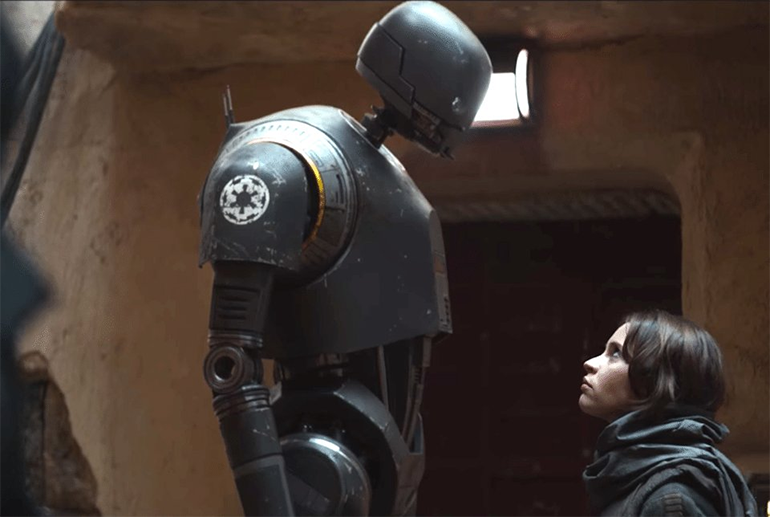 John Knoll, CCO at ILM and Rogue One visual effects supervisor, joined the stage with Lucasfilm ADG Principal Engineer and Architect Naty Hoffman to show how their team was able to extend UE4 to render the droid K-2SO in Rogue One, achieving final pixels on screen while bypassing the traditional pre-rendering process. This landmark achievement, made possible only by UE4 and the freedom to modify its source code, is a glimpse at how disruptive the engine can be for filmmaking and VFX. There is a very important distinction to be made between pre-visualization and this execution, in which Naty’s team met John’s incredibly high standards of quality and delivered real-time rendered imagery created in UE4 that was deemed worthy of inclusion in the final Academy Award-nominated motion picture. Today Epic’s ambitious, game-changing partnership with Chevrolet and The Mill for the real-time short film and AR presentation “The Human Race” took center stage at GDC. Combining an advanced implementation of Epic’s Unreal Engine with The Mill’s proprietary virtual production toolkit, Mill Cyclops™, “The Human Race” merges real-time visual effects and live-action storytelling. The combined technologies were pushed beyond the limits of existing real-time rendering capabilities to produce a futuristic film that features the 2017 Chevrolet Camaro ZL1 in a heated race with the Chevrolet FNR autonomous concept car. Award-winning actor and director Andy Serkis unveiled his new studio on stage this morning, Imaginati Studios, which has entered a partnership with Epic Games. Having used Unreal Engine 4 to render a digital character driven by live motion capture performance in The Royal Shakespeare Company’s production of William Shakespeare’s The Tempest last November, Serkis and his team are now moving to games. Their first project is currently in development utilizing the incredible real-time rendering solutions that only Unreal Engine 4 can provide. Unreal Engine has always been a world-class toolset for teams small and large - many voices appeared this morning to share their stories of success and show off their latest creations. President and COO of Nintendo America, Reggie Fils-Aimé, shared a message for developers around the world: if you want to make amazing games for the Nintendo Switch, Unreal Engine has everything you need. Snake Pass by Sumo Digital is available to play exclusively in the Epic booth all week on the Switch. High-quality, scalable mobile development on Unreal Engine 4 has never been easier -- look no further than Netmarble’s Lineage 2: Revolution, a smash hit after its December launch in late 2016. Simon Sim, CEO of NetMarble US, confirmed that within 30 days of release, the game eclipsed $176 million in revenue and 5 million players. Currently serviced only in Korea, Lineage 2: Revolution has been enjoying huge popularity, achieving record-shattering indexes and revenues since its launch. Publisher Netmarble and developer Netmarble Neo are planning to introduce the game globally with builds customized for key regions. Randy Pitchford from renowned AAA developer Gearbox Software also took to the stage to talk about UE4 powering future projects from his teams. 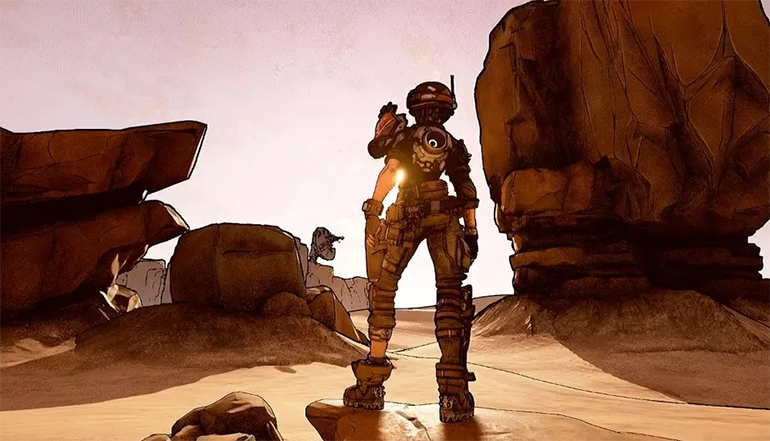 The live Borderlands environment demonstration showcased Unreal’s ability to enable artists to achieve all-new levels of detail without having to compromise their creative integrity. Robo Recall was built in part using Unreal’s VR Editor. Epic Games Principal Technical Artist Ryan Brucks narrated today’s demonstration, driven by Epic Games Tools Programmer Lauren Ridge, in which together they showcased a stunning new beach scene designed by Brucks. Released during last year’s GDC, the VR Editor has expanded by leaps and bounds in the last 12 months. Lauren briefly touched on the new asymmetrical controller setup and the improved smoothed lasers as well as the updated radial menu she used to add foliage. Other new features include updated teleport simulated physics in VR mode, Smart Snapping and Sequencer editing in VR mode. As a grand finale to the VR Editor demo, Epic showcased a scene from Pixar’s animated film Finding Dory, which took home top honors in the 2017 People’s Choice Award, as a fun way to reveal that Unreal Engine now supports Universal Scene Description (USD). "We built USD to enable a flexible and unencumbered exchange of assets in diverse pipelines and to promote large-scale collaboration among artists of various disciplines. We're therefore thrilled to add Epic's incredible Unreal Engine to the expanding set of USD-compatible tools,” says Alicia Mooty, Project Manager for the USD project. A preview of the new VR Editor features, including mesh editing, is available on GitHub with full source code right now! Brendan Iribe, CEO of Oculus VR, joined Tim on stage to break company news. Effective today, Oculus is cutting $200 from its MSRP, slashing the cost of the headset and Touch controllers from $798 to $598. In addition to announcing the price drop for its high-end PC VR headset and motion controls, Oculus announced that the company is giving Epic 250 Rift + Touch kits to provide to developers via the Unreal Dev Grants program. Unveiled at Oculus Connect 3 late last year, Epic’s original game Robo Recall is the foremost showcase of the Unreal Engine’s stellar VR capabilities, and features over-the-top arcade action, satisfying combat and input designed for the Oculus Touch controllers. Robo Recall launches today for free for all Oculus Touch owners, along with the newly-revealed and released Robo Recall Mod Kit, which is available for free through the Epic Games launcher.